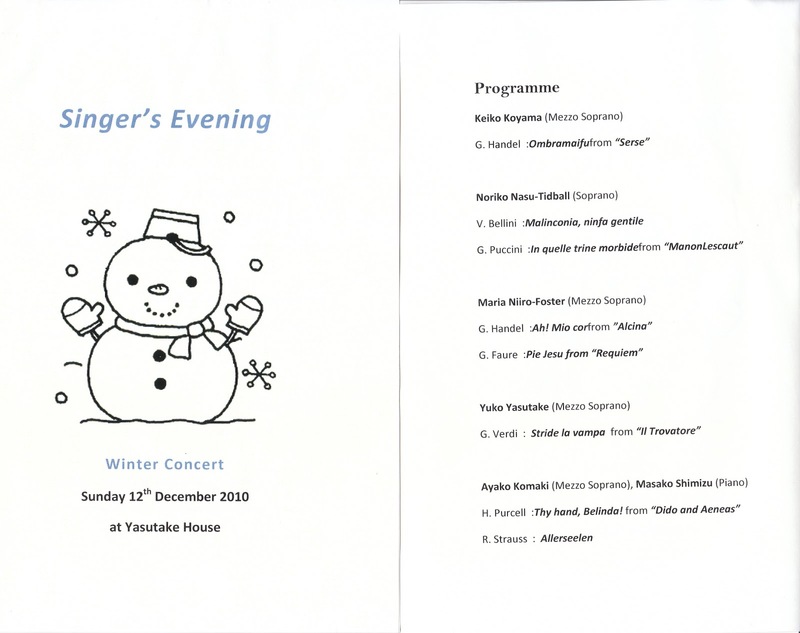 This evening concert was only for my voice students. 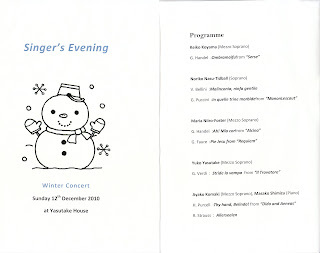 Remarkably, in this evening we had our choir's debut performance! 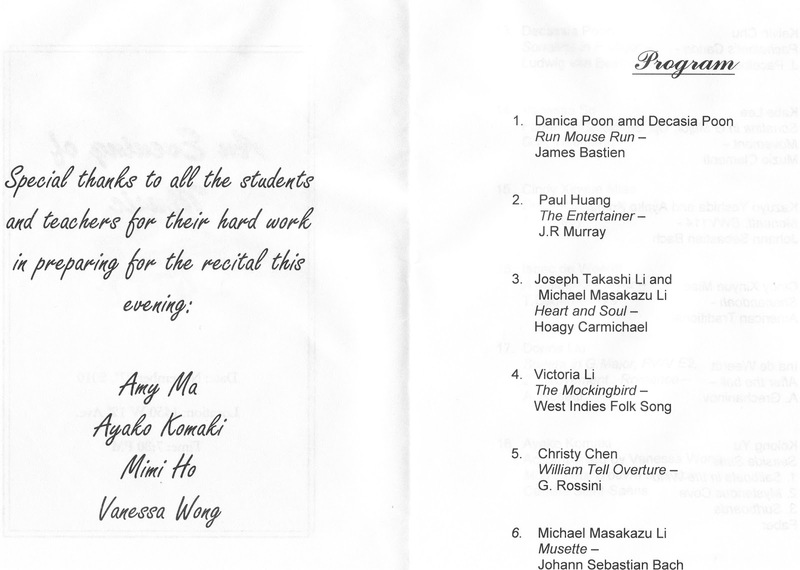 The Choir started with "Pie Jesu" by Andrew Webber. 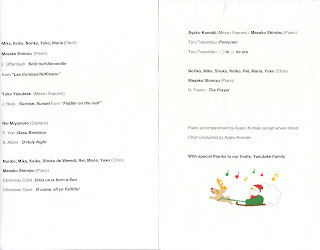 There are several musicians in each family. Parents and kids, sisters, brothers. For them to perform together. 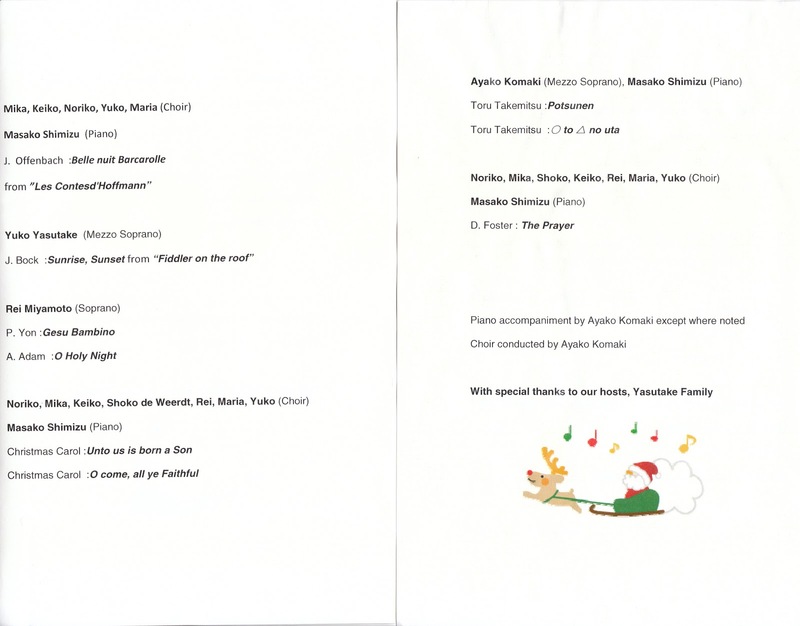 I organized this family+friends concert in my hometown in Japan. I just wanted to see my friends and family, then I planned to meet them all in Fujisawa and to make music together! We were a group including: Family, former voice students, choir mates in Japan and England, friends from my time in England, my work, my piano teacher, Korean language classmates, friends from secondary school and university, friends from my international exchange programme, and friends I met in Alaska. 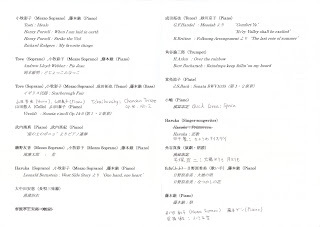 We had singers, pianists, Nagauta Shamisen, jazz piano, narration, a composer, a singer songwriter, a horn player, a cellist, a trumpet player and a flutist! More friends contributed with their poems, photography, doing the video recording, displaying their paintings and crafts, their illustrations and designing the guestbook. How nice to have music and arts in our life! Amy Ma, Mimi Ho and Vanessa Wong. 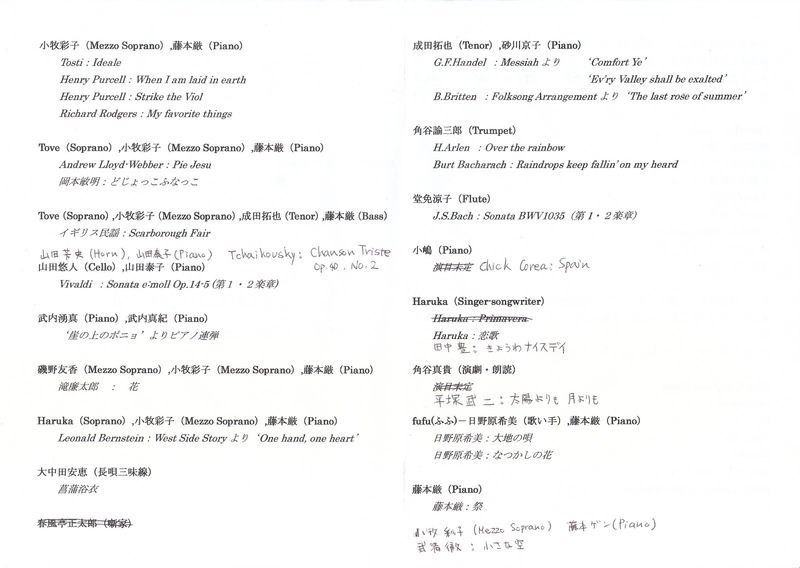 I sang these songs with Vanessa's piano. 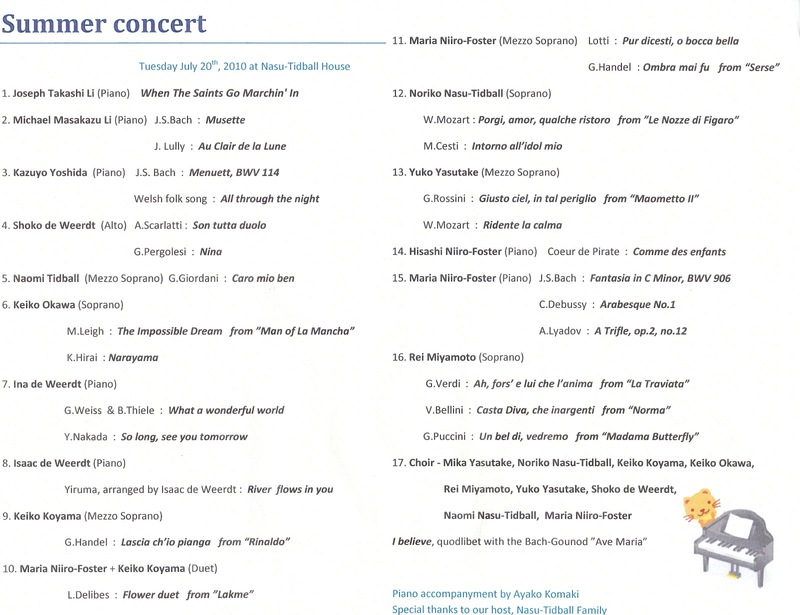 Camille Saint-Saens: Mon Coeur S'ouvre a ta Voix from "Samson and Dlulah"
After our home concerts, we always have a great meal together. 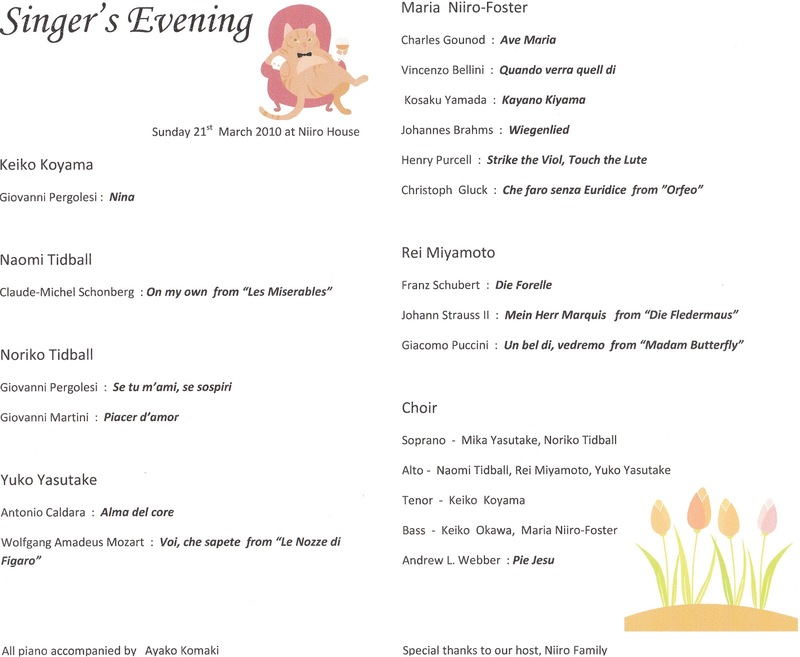 It is a really nice time to share music and good food with musicians and families! In 2010 I had a one-year contract again with South Granville Park Lodge. It was a performance almost every month. 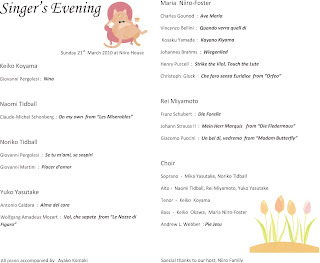 I had to plan each programme, prepare all songs and rehearse with my pianist every month! 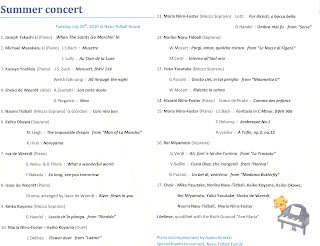 I appreciate the many solo concert opportunities, and having a pianist expanded my repartoire. 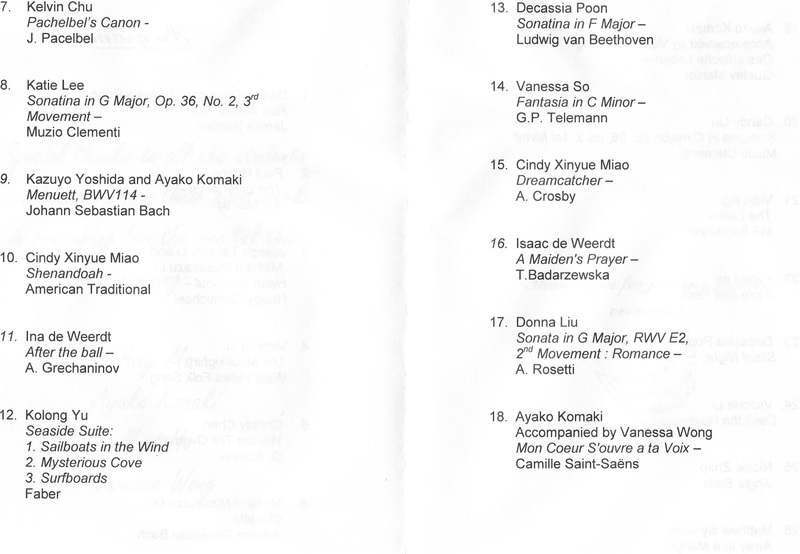 Here is the song lists for voice and piano for South Granville Park Lodge not including 2009 repertoire.